The U.S.-supported Ethiopian invasion that expelled Somalia’s Islamist government last December is rapidly deteriorating into a multi-layered conflict that will prove resistant to resolution. Resistance to Ethiopian troops and the Ethiopian-installed Transitional Federal Government (TFG) is inspired by nationalism, religion, economic factors and clan loyalties, yet all of these motivations are part of a constantly shifting pattern of allegiances in which the only common characteristic is a desire to expel foreign troops from Somalia. Local warlords and clan leaders who were deprived of power by the Islamic Courts Union (ICU) are now scrambling to reassert control over their small fiefdoms in Mogadishu, while many former ICU gunmen have transferred their allegiance to clan militias. Fighting in the Somali capital of Mogadishu has created over 300,000 civilian refugees. Thousands more (nearly all from the Hawiye clan that dominates the capital) have been killed as residential areas become battlegrounds. Only one overwhelmed hospital is open as Ethiopian troops are using other hospitals as barracks. The Somali TFG is exacerbating the situation by imposing bureaucratic delays on the delivery of relief aid arriving in Mogadishu. Unable to resist the Ethiopian incursion, the ICU dissolved December 27, 2006, returning its stockpiles of weapons and vehicles to the clans and militias who had donated them. Since then, a number of leading elements in the resistance have emerged. The Hawiye, one of Somalia’s four major clans, provided important support for the ICU in the south-central region of Somalia, which includes Mogadishu. Hawiye members (especially those of the powerful Habr Gidir Ayr sub-clan) dominated all of the ICU’s decision-making bodies. Former ICU leader Shaykh Hassan Dahir Aweys is a member of the Habr Gidir Ayr (one of four major sub-clans of the Hawiye). The Hawiye sub-clans have fought each other for years in Mogadishu, but there are signs that opposition to Ethiopian/TFG forces is beginning to unify formerly antagonistic groups. Now operating from Yemen, Shaykh Aweys claims that U.S. government support for the Ethiopian occupation and the resulting civilian deaths is motivated by a need to exact revenge for the deaths of U.S. troops in Somalia in the early 1990s. The former ICU chairman insists that Ugandan and other African Union troops will receive the same treatment as the Ethiopians. According to the Shaykh, negotiations with the TFG are impossible until all foreign troops are removed from Somalia (Qaadisiya.com, April 15). On April 13, a sub-committee was formed from Hawiye representatives and Ethiopian officers in order to negotiate the terms of a cease-fire (HornAfrik Radio, April 13). A spokesman for the Hawiye cease-fire committee lashed out at the United States for its support of the Ethiopian invasion (Shabelle Media Network, April 7). The TFG is dominated by the Darod, another of the major clans. The Hawiye suspect that the TFG is dedicated to the advancement of the Darod and the elimination of the Hawiye. Elders of the Hawiye clan pin responsibility for the devastation of Mogadishu on the TFG and have asked for an international commission to investigate the circumstances of the conflict (Radio Shabelle, April 15; Radio Banadir, April 14). Hawiye elders also accuse the TFG of recruiting only Darod into the army. To deflect such criticism, TFG Prime Minister Ali Muhammad Gedi recently appointed a notorious Hawiye warlord to the post of Somali chief of police (Garowe Online, April 18). TFG President Abdullahi Yusuf Ahmad is from the Majerteen sub-clan of the Darod. He commanded Darod forces in battles against the Hawiye in the 1990s. The Hawiye believe that the Ethiopians are set on installing a Darod-dominated government intent on eliminating their clan. Claims of “ethnic-cleansing,” “war crimes” and “genocide” are increasingly used by the Hawiye to describe Ethiopian actions in Mogadishu. Relations between the Hawiye and the Darod clans were irreparably poisoned by the massacres of Darod by the Hawiye in Mogadishu after the overthrow of Somali dictator Siad Barre in 1991. Given this history, the arrival of President Yusuf and his well-armed veteran Darod militia was especially alarming to the Hawiye, who now fear retribution for the massacres of 1991. The intense fighting of the last month began when the president announced plans to forcibly disarm non-government militias in Mogadishu. Deputy Prime Minister Husein Mohammed Farah Aideed has angered his comrades in the TFG by visiting the Eritrean capital of Asmara, where he accused Ethiopia of planning “genocide” in Somalia. Aideed, a former U.S. Marine, leads a militia drawn from the Habr Gidir Sa’ad sub-clan of the Hawiye. Notorious for changing sides, Aideed created a controversy earlier this year when he suggested Somalis and Ethiopians use a common passport. Having survived the resulting firestorm, Aideed appears to have made a strategic decision to now oppose the Ethiopian invasion. Al-Shabaab (The Youth) once served as an ICU-controlled elite militia. The group was formed in August 2006 from a core of fighters who played an important role in last year’s defeat of the Anti-Terrorist Alliance, a U.S. supported coalition of Somali warlords (Somaliland Times, August 12, 2006). The group became known for its ruthless methods that often discredited the ICU in international opinion. Many ICU leaders distanced themselves from Shabaab, fearing the militia’s radicalism would spark a new round of internecine fighting. Shabaab took heavy losses attempting to resist the Ethiopian advance into Somalia last December, but now it is more at home in the vicious urban warfare of Mogadishu. After Aweys fled to Yemen, leadership of Shabaab passed to his former aide, Adan Hashi Ayro, a U.S.- and UN-designated terrorist and radical Islamist who is reported to have trained in Afghanistan prior to the September 11 attacks. U.S. spokesmen claimed that a January 8 airstrike by U.S. gunships wounded Ayro. The roughly 30 year-old Shabaab leader released an audiotape in March denying rumors of his death: “I will fight the troops who are enemies of my religion and who have invaded my homeland…and I am certain I will remove them by force soon” (Garowe Online, March 7). 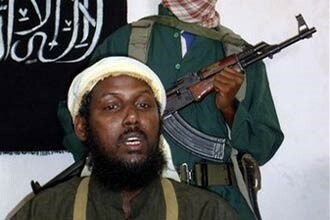 The Shabaab leader has several disputes with his own Habr Gidir Ayr sub-clan. Mukhtar Robow “Abu Mansur” is another prominent Shabaab leader, accused by the United States of providing logistical support to al-Qaeda (U.S. Department of State, African Affairs Fact Sheet, January 25). Other Shabaab leaders include Afghanistan veteran Ahmad Abdi Godane and Ibrahim Haji Jama (“al-Afghani”), who is reported to have fought in Kashmir as well as in Afghanistan. “Al-Afghani” is wanted in the quasi-independent state of Somaliland, where he was sentenced last December to 25 years in prison on terrorism charges (Somaliland Times, December 9, 2006). Typical of many Salafi militant groups, Shabaab offers an alternative to clan- or tribal-based movements, drawing on a wide base of recruits. The typical Shabaab gunman is a poorly-educated youth in his late teens or early twenties who has grown up in the midst of Somalia’s violent rivalries. Unlike former ICU colleagues who have found work with the re-emerging clan militias, the Shabaab fighter holds a rather inflexible and radical interpretation of Islam that compels him to undertake dangerous missions in the cause of creating an Islamist Somalia. This is a fairly new development in Somalia, where allegiance to ideology has tended to take second place to family and clan loyalties when under pressure. Many Shabaab fighters are reported to have undergone military training in Eritrea (Voice of America, January 6). Shabaab fighters are often referred to as “the masked men” due to their habit of drawing red scarves across their faces during assaults on TFG and Ethiopian troops. The masks protect their identity not only from government forces, but also from Mogadishu residents, many of whom are bitterly unhappy about the civilian carnage resulting from Shabaab’s poorly-aimed mortars and the brutal retaliation of Ethiopian artillery on the residential districts that Shabaab uses as launching points for its reckless assaults. Many Mogadishu neighborhoods have hired vigilantes to prevent their use as firing-points by Shabaab fighters. Shabaab leader Adan Hashi Ayro claims that the mortar shells raining down on Mogadishu homes are fired by Ethiopian troops. Although Shabaab once numbered several thousand fighters, it probably does not field more than several hundred men at the moment. In early April, U.S. Assistant Secretary of State for African Affairs Jendayi Frazer claimed that Eritrea and the “global jihadist network” were supporting Shabaab (Shabelle Media Network, April 7). Eritrea denies accusations from the United States that it is supporting and supplying the Somali insurgency, but there is little doubt that Asmara takes delight in the predicament of Ethiopia, a bitter enemy of Eritrea since the two countries fought an inconclusive but bloody border war in 1998-2000 that claimed 70,000 lives. A Hawiye spokesman insisted that clan leaders have no contact with Eritrea or the former ICU leadership (Radio Shabelle, April 9). Another resistance group formed in January of this year is al-Harakah al-Muqawamah al-Sha’biyah fi al-Bilad al-Hijratayn (The Popular Resistance Movement in the Land of the Two Migrations, PRMLTM) (Qaadisiya.com, January 19). Led in the Banadir region by Shaykh Abdikadir, the movement has issued warnings to African Union peacekeepers that they can expect no different treatment than the Ethiopians. The PRM has since claimed responsibility for a March 12 attack on a Ugandan convoy. On March 21, an Ethiopian offensive against Habr Gidir strongholds in south Mogadishu was ambushed by hundreds of masked gunmen. The Ethiopians withdrew after a firefight lasting several hours, leaving their dead behind to suffer mutilation and burning before being dragged through the streets. The PRM claimed responsibility for the ambush (Associated Press, March 22). Responsibility for a March 6 assault on the Mogadishu airport and a March 16 mortar attack on the presidential palace was claimed by the Tawhid wa’l-Jihad Brigades in Somalia (Unity and Struggle), apparently in response to the alleged rapes of Somali women by Ethiopian troops. The group promises a series of suicide attacks. The Young Mujahideen Movement in Somalia is another group that has claimed attacks on Ethiopian troops, including an April 19 suicide bombing that allegedly involved the use of chemicals (SomaliNet, April 21). TFG Prime Minister Gedi maintains that the relentless shelling of north Mogadishu is designed to clear out “terrorist groups.” Using the now familiar language of those seeking U.S. military support, Gedi referred to “al-Qaeda operatives” while insisting that only terrorists opposed the government: “there are no Hawiye people involved in the conflict” (Somaliweyn Radio, April 21). The TFG seems well aware that clan warfare rarely brings the type of U.S. support that can be expected by allies in the war on terrorism. According to a Hawiye spokesman, Ethiopian officers insisted during a meeting with the Hawiye cease-fire committee that the attacks on Ethiopian positions in the capital were being carried out by al-Qaeda, a suggestion the Hawiye rejected. The spokesman added that the Hawiye community would prefer death over giving allegiance to President Abdullahi Yusuf (Radio Shabelle, March 23). After an April 23 battle between two Darod sub-clans for control of the southern port of Kismayo, Prime Minister Gedi denied that there was any clan struggle for the city, blaming the fighting there on “al-Qaeda-linked terrorists from Mogadishu,” whom he alleged were also responsible for the deteriorating relations between Somaliland and Puntland (Shabelle Media Network, April 23). Statements of support from al-Qaeda’s Ayman al-Zawahiri, foreign volunteers and diaspora returnees (not necessarily al-Qaeda affiliated) appear to have had little influence on the fighting so far. Scores of these poorly-trained fighters have been detained at the Kenyan border or picked up in Ethiopian security sweeps. Ethiopia will never support a strong central government in Mogadishu that might ultimately prove capable of pressing Somali claims in the Ogaden region. Thus far, however, Ethiopia’s attempt to establish a weak Somali government that owes its existence to Ethiopian power has been a failure. On the other hand, the descent into chaos means Somalia no longer represents a threat to Ethiopia’s territorial integrity. If Ethiopia can manage to extricate its troops from Somalia in the near future, this might be interpreted as a victory in Addis Ababa. Somali life is shaped by a unique social system that aids the survival of the individual, but in turn promotes schisms and hinders the creation of enduring alliances or devotion to ideological causes. Foreign occupation is possibly the only factor capable of uniting Somalis, but there are signs that resistance to Ethiopian/African Union troops may soon exist simultaneously with a Hawiye/Darod clan war. 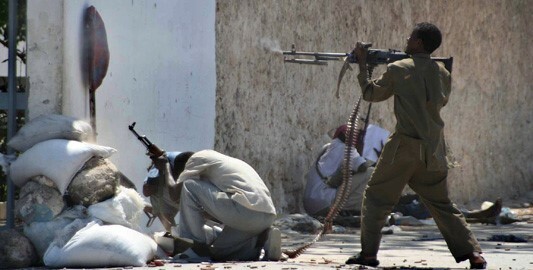 If the situation is allowed to deteriorate to that point, it may be years before peace can be re-established in Somalia. Although a final decision has not yet been made in the Turkish capital of Ankara, preparations by the Turkish armed forces continue for a series of strikes against the northern Iraqi bases that hold an estimated 3,800 guerrillas of the Kurdistan Workers’ Party (PKK), an internationally designated terrorist group. Anti-American public opinion is on the rise in Turkey at the same time that the country heads toward a presidential election in May and parliamentary elections in November. The intentions of Turkey’s military have become clearer in the past few days. The general staff is recommending direct airborne strikes on PKK bases, avoiding a politically problematic occupation of the region as well as depriving militant Iraqi Kurds of land-based military targets. The operation is scheduled to last three months, with Turkish troops being airlifted back to Turkish bases every evening. There would be no attempt to hold territory except for a buffer zone along the border designed to prevent Kurdish infiltration into Turkey (Tempo, April 13). Turkey’s National Security Council has also approved a set of military, economic and diplomatic sanctions against Iraq in an effort to persuade Baghdad to expel the PKK fighters (Middle East News Line, April 15). In a television interview earlier this month, Kurdistan Regional Government leader Massoud Barzani insisted that Iraqi Kurds would interfere in the Kurdish regions of Turkey if Ankara continued with plans to intervene in northern Iraq. In a furious response, Turkish Prime Minister Recep Tayyip Erdogan declared that Iraqi Kurds were making “a very serious mistake” and that Barzani would be “crushed with his own words” (Asia Times, April 14). In an unusual development, the chief of the Turkish General Staff, Yasar Buyukanit, held a press conference on April 12 to suggest that the Turkish Armed Forces mount attacks on PKK bases in northern Iraq. With fighting already underway between the army and Kurds in southeast Turkey, the general accused the Iraqi Kurds of providing logistical support to terrorists, making military operations a necessity. 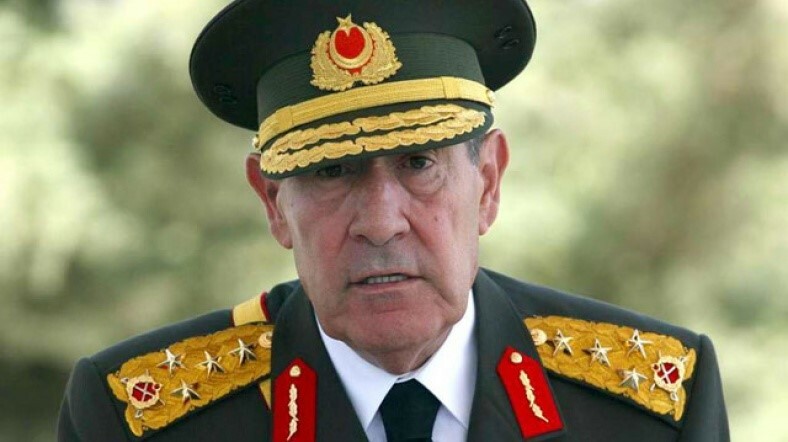 General Buyukanit finished by noting that an offensive into Iraq ultimately remained a political decision. The surprise presentation was clearly intended to test the political will of Turkey’s ruling Justice and Development Party, as well as to put the United States on notice of the gravity of a situation that Turkey’s generals feel Washington is ignoring. The general’s remarks had an immediate impact in Iraq. Iraqi parliamentary speaker Mahmoud al-Mashhadani offered his support for Massoud Barzani, adding that “the hand that will be extended to interfere in our internal affairs will be cut, if not today then tomorrow” (Today’s Zaman, April 14). The speaker of the regional Kurdish parliament termed the general’s comments “a dangerous escalation” (Daily Star [Beirut], April 14). On April 13, Turkey asked the United States to cooperate in preventing the relocation to Kirkuk of 10,000 Kurdish refugees from northern Iraq’s Makhmour refugee camp. Turkish authorities insist that the camp is used as a PKK training camp and must be closed down. They are equally concerned about the growing number of Kurds moving into the oil-rich Kirkuk region in advance of a referendum to decide whether Kirkuk should belong to the semi-autonomous Kurdish province of Iraq. Ankara has made it clear that U.S. help in closing Makhmour should be regarded as the beginning, rather than the sum, of U.S. efforts to eliminate the PKK in northern Iraq (Today’s Zaman, April 13). After Barzani’s outburst, Iraqi Prime Minister Nuri al-Maliki was forced to immediately reassure Prime Minister Erdogan that Iraq’s foreign policy was still in the hands of the Baghdad government. Turkey’s diplomats deal exclusively with the central government in Baghdad, carefully avoiding any recognition of Kurdish autonomy. Despite Barzani’s provocative remarks, many Iraqi Kurds are determined to resolve the dispute with Turkey through dialogue. The success of northern Iraq’s “Kurdish project” depends on a sustainable economic relationship with their Turkish neighbors. The prime minister of northern Iraq’s regional assembly, Nechirvan Barzani, made this clear: “Turkey is our gate to Europe…We’ve never gotten involved in Turkey’s internal affairs, and we have no intention of getting involved in the future” (Today’s Zaman, April 14). Turkey is still awaiting a response from the Iraqi parliament to a diplomatic note demanding that the Iraqi forces fulfill their international anti-terrorist obligations by arresting PKK members in Iraq and extraditing them for trial in Turkey (New Anatolian, April 13). Adding another complication to the issue, there are reports that various members of Al-Qaeda in Iraq, Ansar al-Islam and other Sunni militant groups are moving north from their usual zone of operations to avoid the U.S. surge in central Iraq. Anywhere from 50 to 300 militants are reported to be employing Kurdish guides to enter northern Iraq with the intention of forming “the Kurdistan Brigade of al-Qaeda” (Awene [Sulaymaniyah], April 10; Terrorism Focus, April 3). There are economic, as well as security considerations, at risk in the dispute between Washington and Ankara over the correct course of action in northern Iraq. Royal Dutch Shell is ready to reenter the Iraqi energy market in cooperation with Turkey’s state petroleum company, TPAO. The joint project would build a pipeline from the oil fields of Kirkuk to Turkey’s Mediterranean port of Ceyhan, but it awaits ratification in Baghdad (The Times, April 13). Continued Turkish support is also vital for U.S. and coalition forces in Iraq. Approximately 74% of coalition air cargo passes through Turkey’s Incirlik airbase, while nearly a quarter of coalition fuel supplies come from Turkey. Much of the fuel and electricity used in northern Iraq also comes across the Turkish border. Ankara has already been warned by its friends in Europe that any offensive into northern Iraq will have an immediate negative impact on Turkish efforts to join the European Union. General Buyukanit’s address has raised eyebrows in Brussels, where European Union rules demand civilian control of the military in member states. European Union accession talks, however, are basically going nowhere at the moment, fueling a growing nationalist movement in Turkey that is no longer willing to submit the country to the “humiliation” of an ever-shifting set of EU accession criteria. Disappointment with the level of U.S. activity against the “PKK terrorists” may soon lead to Turkey taking independent action to secure its borders in a region of increasing economic importance. The creation of a largely autonomous and peaceful “Kurdistan” in northern Iraq is often trumpeted as a major success in post-Baathist Iraq. Any progress made, however, toward an independent nation for the stateless Kurds creates great uneasiness in Turkey, Syria and Iran, all of which host significant and sometimes militant Kurdish minorities. Turkey’s struggle with the Kurdistan Workers’ Party (PKK) in southeast Turkey has cost 35,000 lives since 1984. The Turkish government of Prime Minister Recep Tayyip Erdogan is determined to pre-empt a spring offensive by the PKK. If the Iraqi government and U.S.-led forces are unwilling to cooperate with each other to counter the PKK, a designated terrorist organization, Turkey has signaled that it is willing to operate unilaterally. Last August, following a number of clashes with PKK guerrillas, Turkey massed tanks, artillery and troops along the Iraqi border. 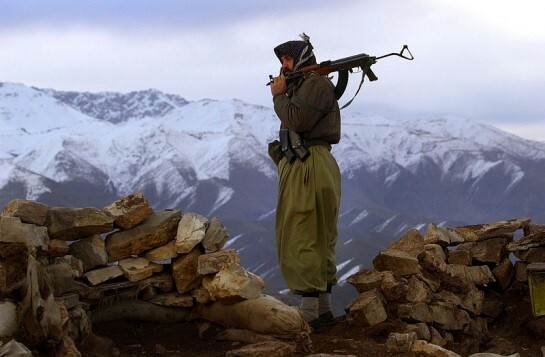 The PKK consistently denies that operations are launched from the Mount Qandil area in northern Iraq, claiming that it maintains only a “political presence” there. Last weekend, however, the Turkish army took its first steps in mounting a full-scale offensive against the Iraqi bases of the PKK. Mine-clearing operations are underway along the border, while Turkish Special Forces have reportedly penetrated 20 to 40 kilometers inside northern Iraq to prepare the advance and seal off PKK escape routes. As many as 200,000 Turkish soldiers are being brought up to the border this week. With Turkish presidential and general elections approaching, Turkish security forces have carried out mass arrests of alleged PKK terrorists in Istanbul and have detained 19 members of the Kurdish Democratic Society Party in Izmir and Manisa (The New Anatolian, March 21). Turkey has been busy resupplying army divisions along the Iraq border and has cancelled all leave for these formations for the next three months (Zaman, March 20). The PKK arrived in northern Iraq after Syria ended its sponsorship of the movement in 1998. The movement’s long-time leader, Abdullah Ocalan, was arrested in Kenya shortly afterward and brought to trial in Turkey. The PKK still contains a large number of Syrian Kurds, some of whom are now agitating for attacks on Syria. In Iraq, the PKK established bases around Mount Qandil, close to the Iranian border but about 100 kilometers from the border with Turkey. The PKK has bases on the west side of the mountain while its Iranian equivalent, the Party for a Free Life in Kurdistan (PJAK), has a base on the southern slopes close to the Iranian border. While the Kurdistan Regional Government (KRG) of Massoud Barzani has provided some support to the PKK, both Barzani and Iraqi President Jalal al-Talabani (leader of the Patriotic Union of Kurdistan) have little use for the imprisoned PKK leader. During past Turkish incursions against PKK elements in Iraq, fighters from both the Barzani and al-Talabani factions have been known to operate in support of Turkish troops. Turkish intelligence estimates that there are 3,800 Kurdish fighters in the Qandil region ready to carry out attacks on Turkish military and civilian targets. PKK leader Abdullah Ocalan is believed to still be trying to run the movement through messages passed through his lawyers from his cell on the prison island of Imrali. Recent medical tests failed to find any trace of toxins after rumors spread that Ocalan was being poisoned in captivity (Anatolia News Agency, March 12). Ocalan’s attempts to control the movement from a distance have stifled the emergence of a new political leadership. Without strong central leadership, the PKK is subject to fragmentation due to the disparate origins and motivations of its fighters. Despite their apparent weakness, the PKK has threatened to expand the conflict to neighboring countries if they continue to interfere with the movement’s struggle against Turkey. KRG leader Massoud Barzani has also threatened to deploy Kurdish troops against Turkish forces should they cross into Iraq. Kurdish intentions to absorb the Iraqi city of Kirkuk with its immense oil reserves and large Turkmen population into a northern Iraqi “Kurdistan” is another growing irritant in Turkey’s relations with the Iraqi Kurds. There are fears that Kirkuk’s petroleum industry could provide the economic heart of a viable and independent Kurdistan that would inspire Kurdish separatism in neighboring states. Turkish dissatisfaction with U.S. efforts to root out the PKK comes at a difficult time. The current U.S. Congress debate on the WWI-era “genocide” of Armenians by the Ottoman Empire is quickly poisoning U.S.-Turkish relations, particularly in the politically powerful Turkish armed forces. To mollify Turkish opinion, the United States has appointed a special envoy to deal with the PKK issue, retired Air Force General Joseph Ralston. General Ralston has stated that “the PKK is a terrorist organization and needs to be put out of business” (Zaman, March 16). Besides Turkey’s status as a vital cornerstone of the NATO alliance, southern Turkey’s Incirlik Air Base is also a crucial staging ground for U.S. operations in Iraq and Afghanistan. The United States is unwilling to open a new front in northern Iraq, nor can it afford to lose its support from Iraq’s Kurdish population. Kurds provide the most reliable units in the reformed Iraqi national army and have taken part in recent counter-terrorism operations in Baghdad and other parts of the country dominated by Sunni or Shiite political factions. In late February, the Iranian Revolutionary Guards pursued PJAK elements through the Iranian province of West Azerbaijan to the Turkish border, killing 17 guerrillas (IRNA, February 24). It was only the latest in a series of intense clashes between the Revolutionary Guards and PJAK in the northwestern region of Iran. Iranian artillery frequently fires on the PJAK base at Mount Qandil. PJAK is generally regarded as the Iranian wing of the PKK, with which it cooperates. There are seven million Kurds in Iran, who are actively seeking greater economic and commercial ties with Turkey. Turkey and Iran have quietly worked out a reciprocal security arrangement, whereby Iran’s military will engage Kurdish separatists whenever encountered, in exchange for Turkey’s cooperation against the Iranian Mujahideen-e-Khalq movement (MEK), a well-armed and cult-like opposition group that previously found refuge in Saddam Hussein’s Iraq. Both Iranian officials and Turkey’s prime minister have alluded to “mechanisms” (likely to involve intelligence-sharing) already in place to deal with security issues of mutual interest. Neither Turkey nor Iran has any desire to see an independent Kurdish state established in northern Iraq. For the moment, Turkey’s cooperation with Iran is achieving better results than its frustrating inability to persuade the United States to help eliminate a designated terrorist group in northern Iraq. The Erdogan government continues to forge a distinctly Turkish foreign policy, conducted in alliance with, but not in submission to, the United States. In a recent interview, Erdogan vowed that Turkey would not allow attacks on its neighbors from its territory, adding, in an obvious allusion to Iran, that all countries had a right to pursue the development of a peaceful nuclear energy program (Milliyet, March 12). Iran complains that the British and U.S. intelligence agencies are now supporting and inciting “anti-revolutionary” militant groups, some of which are ethnic-based movements active in sensitive border regions. Nearly all of these groups use terrorist methods, such as car bombs, one of which recently killed 17 Revolutionary Guards members traveling in a bus near the Iranian border with Pakistan’s turbulent Balochistan province. In January, Turkish diplomats played down reports that Israel and the U.S. Department of Defense were providing clandestine support to Kurdish PJAK “terrorists,” operating in the northwestern Iranian border region, questioning the usefulness of such a policy in countering Iran’s nuclear ambitions or destabilizing the country in advance of a military strike (Journal of Turkish Weekly, January 4). The reports, originating in a Seymour Hersh article in the January 4 New Yorker, were vigorously denied by White House and Israeli spokespersons. Since then, there have been further allegations that the CIA is using its classified budget to support terrorist operations by disaffected members of Iran’s ethnic minorities, including Azeris, Baloch, Kurds and Arabs (Sunday Telegraph, February 25). Turkey supports the territorial integrity of Iraq, but is unwilling to sacrifice its own perceived security interests (especially as regards separatist groups or other threats to national unity). In this, the government has the support of Turkey’s generals and most of the opposition parties. The Turkish military is well aware that the elimination of cross-border refugees and support systems is an essential factor in any counter-insurgency strategy. Whether this will be accomplished peacefully or by force will depend largely on the success of the upcoming meeting of U.S. and regional foreign ministers in Istanbul. Among those elements necessary to a political settlement are Turkey’s readiness to make at least limited concessions to its own Kurdish community, a demonstration from the United States that it is not prepared to risk its alliance with a major NATO partner during the growing confrontation with Iran and a willingness by Iraqi Kurds to sacrifice the PKK and dreams of an independent “Greater Kurdistan” in return for regional autonomy in northern Iraq. Iran may be expected to continue aggressive military operations against Kurdish militants to keep its border region secure in a politically volatile period, while continuing to demonstrate to Turkey its usefulness as a security partner in contrast to U.S. reluctance to undertake anti-Kurdish military activities. U.S. intervention in northern Iraq’s Kurdistan region could create a new wave of destabilization in Iraq, as well as diverting U.S. resources from a confrontation with Iran (a result no doubt desired by Tehran). A Turkish incursion will likely have limited scope and objectives, although it will likely include at least two divisions (20,000 men each) with support units. The last major cross-border operation 10 years ago involved 40,000 Turkish troops. With the greater distance to PKK bases at Mount Qandil from the Turkish border, a first wave of helicopter-borne assault troops might follow strikes by the Turkish Air Force. An assault on Mount Qandil will prove difficult even without opposition from Iraqi Kurdish forces. More ambitious plans are likely to have been drawn up by Turkish staff planners for a major multi-division offensive as far south as Kirkuk if such an operation is deemed necessary. A Turkish newspaper has reported that General Ralston has already negotiated a deal with the KRG to permit a Turkish attack on Mount Qandil in April (Zaman, March 25). While tensions peak on the border, the time has in many ways never been better for a resolution to the Turkish-Kurdish conflict. From captivity, Abdullah Ocalan appears ready to concede Turkey’s territorial unity in exchange for stronger local governments. He recently stated, “The problems of Turkey’s Kurds can only be solved under a unitary structure. This is why Turkey’s Kurds should look to Ankara and nowhere else for a solution” (Zaman, March 26). Turkish investment in northern Iraq is far preferable to having Turkish tanks and artillery massed menacingly along the border. If the KRG was intending to keep the PKK as a card to use in coercing Turkish support for Kurdish autonomy, it may be time to play it. PKK morale is low and prolonged inactivity under the aging leadership will ultimately send many fighters back to their villages. The movement is hardly in a position to mount an effective offensive, however. Without state sponsorship, the PKK is poorly armed and supplied. The KRG’s limited hospitality is hardly a replacement for Syrian patronage. Massoud Barzani has urged face-to-face talks on the PKK problem with Turkish leaders, who have also recently indicated openness to discussion (NTV, February 26). Turkey’s continuing conflict with the Kurds jeopardizes its candidacy for European Union membership. With the possibility of full-scale Turkish military operations beginning in northern Iraq in the coming weeks, both U.S. and Turkish strategists must realize that any clash between the Turkish military and U.S.-supported Iraqi Kurds backing their PKK brethren is a political disaster in waiting. 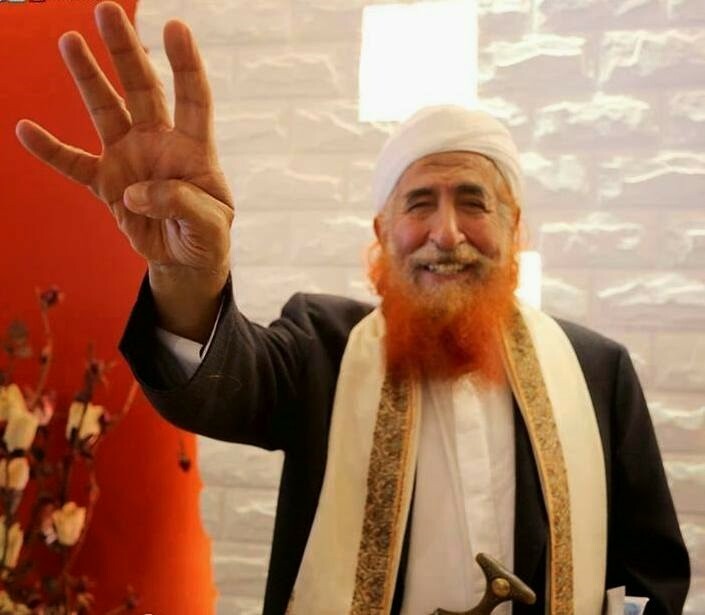 Despite being designated by the United States and the United Nations as a “global terrorist,” Yemen’s Shaykh Abdul Majid al-Zindani continues to be protected by the Yemeni government. Most recently, Sultan al-Barakani, chairman of the ruling General People’s Congress Caucus, said that the U.S. government had failed to send the Yemeni government information incriminating al-Zindani in terrorism, stating that, “we don’t have any evidence that Shaykh al-Zindani was involved with al-Qaeda” (Yemen Times, April 2). Shaykh al-Zindani is one of the most perplexing characters to emerge from the war on terrorism. Politically powerful and revered by some as one of the Islamic world’s leading educators, al-Zindani’s alleged ties to al-Qaeda have brought him to the attention of international counter-terrorism authorities. Despite his official U.S. and UN designations as a “global terrorist,” the red-bearded scholar remains free and highly active in the political, religious, educational and medical fields, the latter representing a new and somewhat questionable addition to al-Zindani’s career. Al-Zindani is a leading member of the opposition al-Islah Party, although in Yemen’s complex political structure al-Zindani and the nominally oppositionist al-Islah frequently work closely with Yemen’s ruler, President Ali Abdullah Saleh. The Shaykh’s real political enemies are found in the ranks of Yemen’s secular Socialist Party. Al-Zindani recently declared that both the socialists and the unity constitution are “infidel” (al-Thawri, March 8). Al-Zindani is also a leading exponent of the scientific basis for Islam, as outlined in various passages of the Quran that the Shaykh interprets as descriptions of everything from black holes to photosynthesis. Last December, al-Zindani, a former pharmacist, claimed to have developed a cure for HIV/AIDS. Unlike other HIV/AIDS medicines, the Shaykh’s discovery allegedly has no side effects while eliminating the disease in men, women and even fetuses. Al-Zindani asserts that he will reveal the herbal formula for “Eajaz-3” once a copyright has been obtained. Although the Shaykh claims the inspiration of his creation “came from God,” no proof of the cure’s effectiveness has yet been presented (Yemen Observer, December 19, 2006). In the last few months, five Libyan children receiving treatment for HIV at al-Zindani’s al-Iman University have been deported in response to allegations of Libyan assistance to Shiite rebels in Yemen’s Sa’ada province (Yemen Observer, March 6). According to a statement from the U.S. Treasury Department, al-Zindani’s involvement with al-Qaeda includes recruiting, purchasing weapons and acting as a spiritual leader for the movement, as well as acting as a contact for Kurdish Iraq’s Ansar al-Islam. The Yemen government has ignored appeals from Washington for the arrest of the Shaykh and the seizure of his assets (Arab News, February 24, 2006). Al-Zindani was recently identified in a U.S. federal court as the coordinator of the October 2000 suicide attack in Aden harbor on the USS Cole. A two and a half year-old lawsuit filed in Virginia by the families of the 17 servicemen killed in the bombing has recently finished by finding the country of Sudan responsible for the attack, opening the way for compensation payments from the US$68 million in Sudanese assets frozen by the U.S. government. The suit also alleged that al-Zindani selected the two suicide bombers that carried out the strike, although the Shaykh was never charged by Yemeni authorities with complicity in the attack (The Virginian-Pilot, March 12). Yemen’s minister of foreign affairs, Dr. Abu Bakr al-Qirbi, welcomed the decision, ignoring the alleged role of al-Zindani, while declaring the verdict proof that Yemen was in no way involved in the attack on the U.S. destroyer. There is no indication that al-Zindani will lose the protection of Yemen’s government in the foreseeable future. While the controversial Shaykh continues to hold radical Islamist views, al-Zindani has lately made a slight retreat from the Islamist global arena, focusing on domestic politics while assuming a lower international profile, no doubt with the encouragement of President Saleh (who continues to represent himself as an ally in the war on terrorism). Shaykh al-Zindani appears to be trying to create a more respectable international image for himself through his unlikely claim to have developed a cure for HIV. This effort may quickly backfire if it turns out that the Shaykh has fraudulently treated HIV sufferers who may have sought more useful and proven medical treatments elsewhere.